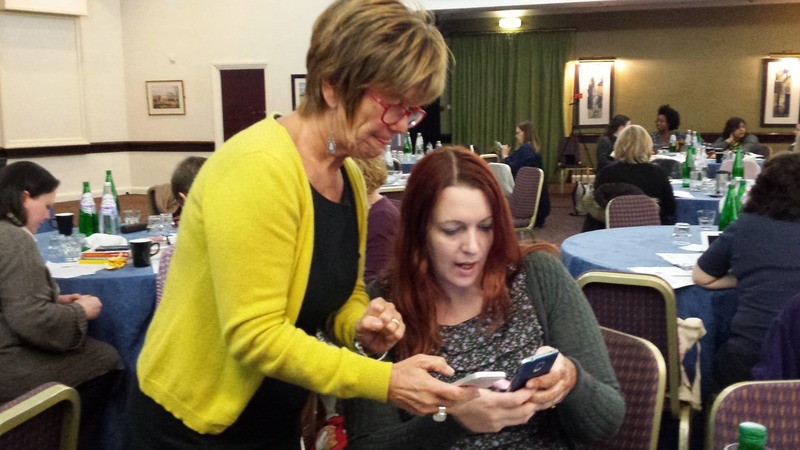 When I first discovered Sheena Byrom, I had no idea she was the midwifery queen of Twitter, passionate and expert in bringing mothers, midwives and all interested in maternity care together to debate, share and raise their voices in unison. She was the author of ‘Catching Babies’, a life story of a career in midwifery but also, somehow, the story of how our maternity care system evolved into something that can, all too often, chew up midwives and mothers and spit them out, broken and hopeless. Sometimes you read a book that makes you feel a little less lonely; a little more understood. I reached out to Sheena on Twitter, to thank her for her brave and insightful book. I never expected a reply, or at best a cursery note of thanks. Instead Sheena virtually opened her arms and heart – not just to me, but all the midwives, doulas, mothers and more who reached out to her online. She has a talent for connection, for creating community, for finding common ground and for recognising kindred spirits that is truly extraordinary. It is mainly through her efforts that the doula community is beginning to feel accepted and understood by midwives. So it is hardly a surprise that the next book Sheena has a hand in is a book about connection, about the power and magic of the collective voice and about the change that can be achieved when, instead of accepting traditionally polarised views, birthworkers commit to finding that sacred place where we all agree. With her friend and colleague Soo Downe, Sheena has found and powerfully capitalised on that common ground: the need for kindness, compassion and respect in maternity care is something we can all agree on, from politicians to commissioners to ward cleaners and, of course, the mothers and fathers who are on the receiving end. They have gathered together a veritable dream team of contributors who share a vision for the future of maternity care. 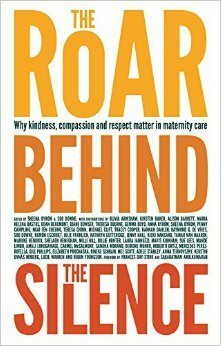 Roar Behind The Silence is an important book. I know that is said about almost every other book that is published so I’ll try to explain why. The way a mother feels when a baby is born has tangible effects. Feeling good, feeling enthralled by the experience, feeling strong and capable, feeling full of the overwhelming love for your baby that makes motherhood bearable is not the icing on the cake of your birth experience. Your emotions drive the birth process and create the bond with your child. Love, in the measurable chemical called oxytocin, is necessary for a safe and satisfying birth. So kindness, compassion and respect MATTER – because these emotions drive oxytocin production. Because love, in care giver and receiver, keeps a woman and baby safe and healthy. Safe and healthy and emotionally satisfied, empowered mothers create a deep and abiding bond with their babies. Well attached babies become balanced, mentally healthy children and adults who have ample amounts of empathy and emotional intelligence. Adults who can understand and connect with others on a deep level change the world for the better. I am not overstating the case when I say that their is, quite literally, nothing more important than the way a woman experiences childbirth. It’s not about what happens or the choices parents make and no-one is saying that babies born in grief and fear and trauma can’t grow into well-balanced, wonderful adults, but a satisfying birth, one that floods mum and babe with the hormones of love and connection and euphoria don’t half help them on their way. Love spreads like a virus. If we can birth babies in it, then they can grow in it and exude it, pass it to others and make radical changes to the way we run the planet. Sheena and Soo understand this on a deep and heartfelt level. They have brought together a group who understand it too. Mothers, doctors, midwives, doulas and others. Each one writes a chapter outlining the practical ways they bring love into the process of creating an environment conducive to a fulfilling birth for mother, father and child. One lone voice in the wilderness achieves little. When our voices converge to make a roar, everyone must stop and listen. But this book isn’t just about the noise of the roar. It’s about the silence too. Silence that is conducive to kindness and compassion and silence that allows unkind and unsafe practices continue. Sometimes we need to roar and then leave a moment of silence for thoughts and reflections to blossom. Sometimes it’s not what we say, but what we leave unsaid that changes the world. Sometimes, it’s not our words, but our actions, that get others to sit up and listen. Silence is a reminder that, in maternity care, it is the mother who is at the centre. To serve her well, we must use our eyes and ears twice as much as our mouth. There are chapters in this book that made me weep. There are names I know well and some that were new to me. I could quote from them, I could give you an insight into some of the stories these authors share, but deep down, I want you to read this book. Open each chapter like a present; unwrap the wisdom carefully and think about how you might use these ideas, and these experiences, to ensure that mothers in your community feel loved and nurtured through their mothering journey. As a doula, childbirth educator, birth activist and breastfeeding counsellor this book gave me a great gift; I felt less lonely. Now when I feel unheard, ignored and misunderstood, I just imagine the roar, rising like a beautiful chorus, enveloping me, giving me a shared sense of community and common strength for the cause. As Sheena is queen of Twitter, I’ll leave you with some hashtags and an idea to muse on: you can add your voice to the roar very easily with social media. So why not come and join the conversation? I have had the pleasure of attending Fear of Birth conference with Sheena Byrom, Dennis Walsh and Lesley Page fantastic information and uplifting energy . My thoughts and experience have taught me to never under estimate the lasting effects of kind words, a nurturing approach and empathy has on the the woman !